You can eat every single bit of a boneless beef eye round roast because it is so lean. It's also economical and has a milder flavor than other roasts. If your beef eye round roast is large and you want to cook it faster, cut it into two pieces lengthwise. Cook it only to medium-rare doneness and carve it into thin (1/4-inch) slices for optimal eating enjoyment. 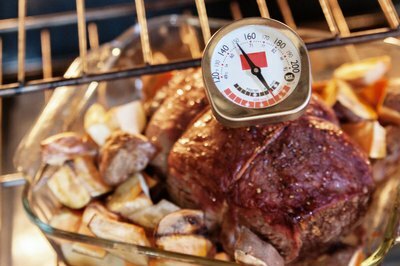 Use an ovenproof or an instant-read thermometer, inserting the tip into the center of the thickest part of the beef eye round roast. 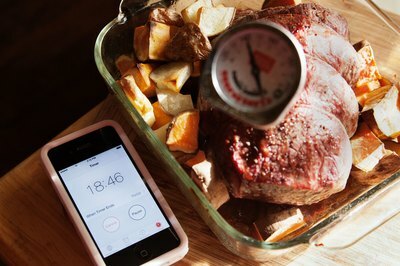 Insert an ovenproof thermometer before roasting the meat and keep it in the meat while it cooks. Insert an instant-read thermometer after the meat has cooked--it is not meant to withstand the heat of an oven or grill. The trick to getting a piece of meat to your preferred doneness temperature is to allow it to rest for 15 to 20 minutes. Remove the meat from the heat before it reaches the ideal doneness temperature, and as the juices inside redistribute, it will continue to cook and even out the temperature. This not only makes the meat juicier, but also easier to carve. 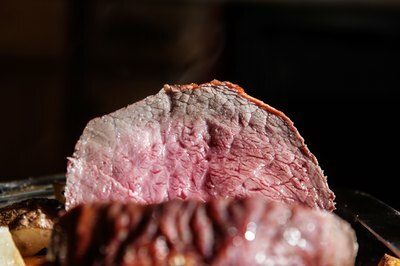 To prepare a rare beef eye round roast, remove it from the heat when its internal temperature reaches 120 degrees; after resting, the ideal temperature is 130 degrees. 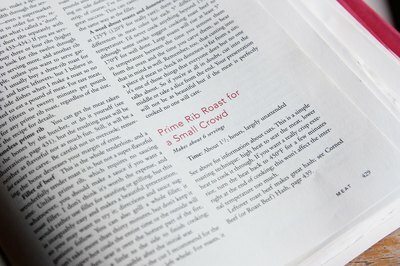 Allow a medium-rare roast to rest at 125 degrees and reach an ideal temperature of 130 degrees. 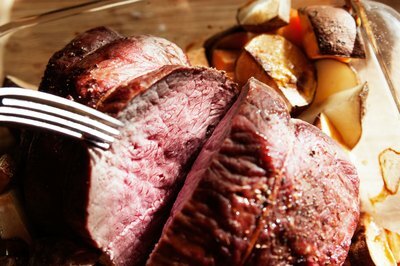 A beef eye round roast prepared to medium should rest at 135 degrees and be carved at 145 degrees. Medium-well roasts should rest at 150 degrees and reach an ideal temperature of 160 degrees. Beef eye round roasts can be roasted, braised, grilled or smoked. Follow your recipe's instructions, and use the recommended roast size (number of pounds) and temperature of the oven, grill or smoker. Use the suggested cooking time as a guide only, and check the meat's internal temperature often. Remove it from the heat source when it reaches its resting doneness. O Chef: Does a Roast Really Need Rest?